Compare pet insurance simply to find the best value cover for your pet. In the event of an accident or illness, dog insurance will ensure you have the right level of cover for your four legged friend and can access the treatment they need quickly and easily leaving you to focus on getting them fit and well and not on unexpected bills. As a cat owner you’ll understand the responsibility of protecting and caring for your feline friend when they need it most. With cat insurance you can have peace of mind that in the event of an accident or illness your pet will have access to the appropriate treatment to get them back on their paws in no time, and you won’t have the worry of unexpected and costly vet bills to contend with. As a nation of animal lovers, many of us own more than one pet and multi-pet insurance can make it easier to manage all of your pet insurance policies with one provider. Many providers also offer discounts for doing so, meaning you can find the right level of cover for your pets at a great price. You wouldn’t want your family to go without, so why leave your pet out? Your pet deserves the best and we offer exactly that. Always there when you come home, always showing you love and affection, your pet is part of your family and can bring a lifetime of fun, laughs and happy memories. Ensure that you keep them in tip top condition with the right insurance for their individual needs. Help prevent those unexpected bills by taking out pet insurance, and help keep your furry friend happy and healthy. We understand how important your pet is and we understand that when it comes to pet insurance you need the right cover for them at the right price for you. If you are looking for Pet Insurance that stands out above the average, then look no further. Our dedicated pet insurance comparison site makes finding and comparing pet insurance quotes a walk in the park. We have teamed up with a range of pet insurers from the market so you can compare what’s on offer and find the perfect cover for your pet in one quick and easy search. We offer a huge spectrum of Pet Insurance policies to choose from. From Dog and Cat Insurance, to Multi Pet Insurance with all your pets all insured under one policy, you ensure that you do not receive those unexpected veterinary bills. All at competitive prices, our service stands out from the ordinary as we ensure that each policy is tailored to your needs, ensuring you get exactly the cover you are looking for. We will take the time and care into making sure we get the best Pet Insurance quote for you and your pet. Going through the entire top, most established Insurance websites; we will do all the hard work and provide you with quotes comparing all the major sites, so you are left with a stress free experience knowing that everything is being taken care of for you. Our comparison service is free to use meaning we do not charge you to compare prices for pet insurance. So take the time to ensure you get the policy you are after and help stop those unexpected Veterinary bills. Make sure you keep your furry friend happy and healthy here at PetInsurance.co.uk. Sit back and relax knowing that everything is being taken care of for you! What is co-insurance / co-payment excess? Can you pay my vet fees direct? 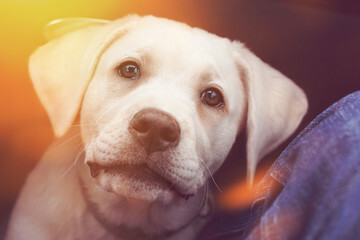 What’s third party liability insurance for dogs? Can I get insurance for pets other than cats and dogs? How do I access my electronic documents? Why does my Dog yawn?